The value of purchases made by plastic now accounts for more than three-quarters of retail sales. 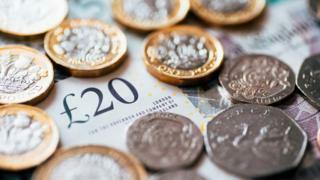 Cash use fell a further 1% last year and now accounts for just 22% of purchases, according to the British Retail Consortium. But the switch to plastic hasn't stopped Britons spending - there were almost 20 billion retail transactions over the year. That works out at 54 million transactions a day, or 40,000 a minute. Debit card payments overtook cash use for the first time last year, banking trade body UK Finance revealed in June. The latest annual Payments Survey from the BRC backs that up. It reveals that cards were used to pay for £277.1bn-worth of goods in 2017, accounting for 76% of all retail sales and passing the 75% milestone for the first time. Meanwhile cash continued its ongoing decline both as a share of retail transactions (falling 0.5%) and as a share of retail sales (falling 1.2%). The cash decline has partly been driven by UK consumers increasingly using cards for lower-value payments, traditionally dominated by cash, the BRC said. That has been helped by the rise and ease of using contactless technology, where cards are placed on or near a reader without the need to enter a pin number. In fact, UK Finance estimated that 3.4 million people hardly used cash at all during the year. It said young consumers, aged between 25 and 34, were most likely to make contactless payments. Those who shunned cash entirely were also most likely to be among that age group. Meanwhile, total UK retail sales rose by 4.3% in 2017 to £366bn, up from £351bn the previous year, the BRC said.